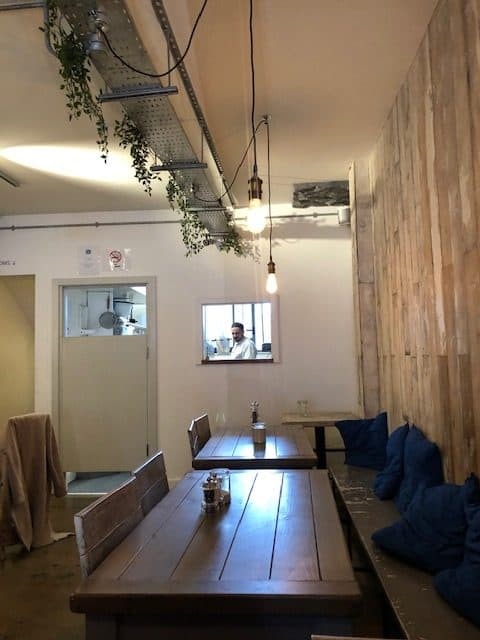 We are the Bach is a gorgeous cafe in Broadway Market offering a selection of delicious dishes. 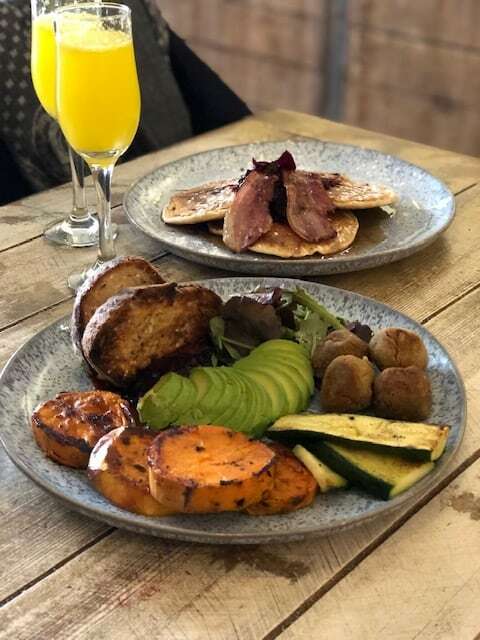 The menu is driven by their own personal experience of food intolerances so they fully cater for gluten free diets as well as veggie and vegan. 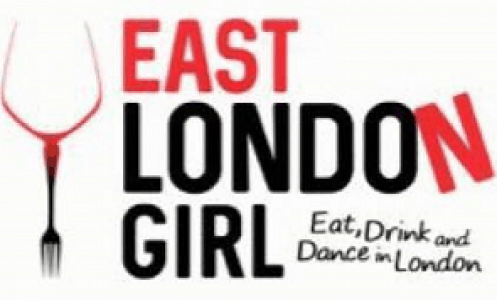 They are strong advocates of all things East London so locally based suppliers are also big part of their philosophy. By the way, a bach (pronounced ‘batch’) is a small often very modest holiday home or beach house in New Zealand! 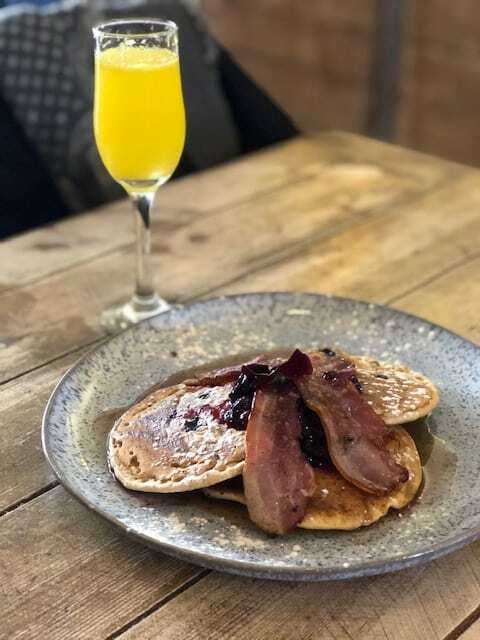 The interiors are light and stripped back which makes brunch a lovely experience. There are also a variety of sweet and savoury treats available to take away from the counter. We kicked off the weekend with two mimosa’s (£6) which were served with such fresh orange. 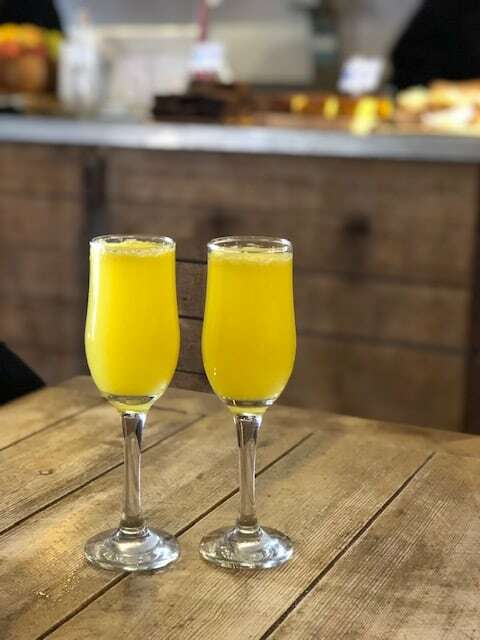 Probably the best mimosa’s I have had! It was hard to choose from the brunch menu as it all sounded so good. We ended up opting for a vegan choice of Spicy sweet potatoes, falafel, hummus and avo with toast, chilli jam, peppers and courgette (£9.9). This was a healthy, filling and wholesome breakfast. The chilli jam was particularly delicious! We also had the Gluten free pancakes with Canadian maple syrup (£8.2) with blueberries (+£2) and smoked bacon (+£3). We were presented with three tasty pancakes which actually had blueberries in! My only preference would have been a little more syrup (although I didn’t ask and I am sure they would have accommodated my request). 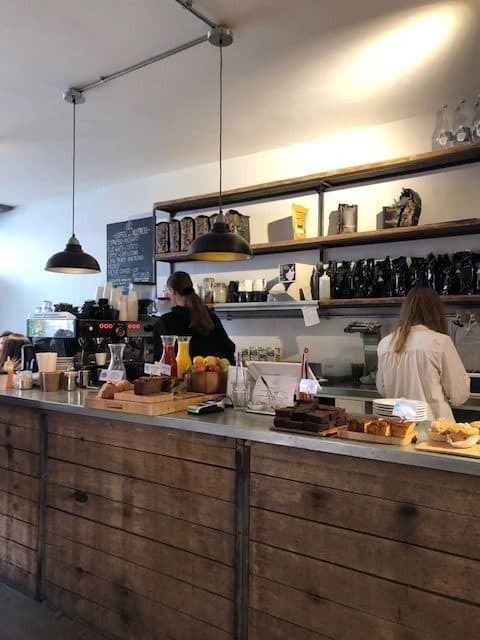 We are the Bach is a great cafe in Broadway Market for brunch, breakfast, coffee and / or cake! The staff were lovely, atmosphere was relaxed and the food was tasty. They also have a branch in Hoxton if you are closer that way.